When it comes to generating a long-term profit betting on sports, it always helps to have an inside edge for as many of the bets you place as possible. Betting odds by nature are designed to favor the sportsbook, so you have to always be on the lookout for opportunities where you can try and tip the scales in your favor. Even the top handicappers in the county sometimes have trouble beating the books, so it takes the right kind of discipline on your part to pick and choose the best betting options along the way. For over 44 years, Doc's Sports Service has blazed a trail in the sports selection industry by helping bettors uncover the top betting opportunities out there every week of the year. The following expert betting tips have the potential to create that all-important edge when it comes to a few sporting events currently on the board. The second round of the 2015 CFL Playoffs gets underway this Sunday with a pair of matchups in the Division Finals. In the East Division, it will be the Hamilton Tiger-Cats on the road against the Ottawa RedBlacks as 6.5-point underdogs with BetOnline. The total for this contest has been set at 50.5. Calgary is the defending Grey Cup Champion, and it will face off against Edmonton in the West Division Final. However, the story in the CFL this season has been the rise of Ottawa from a two-win team last season as the expansion RedBlacks to the East Division Champions this year with a straight up record of 12-6. What makes this Sunday's matchup with Hamilton so interesting is that these two teams closed out the CFL regular season with a home-and-home series for the division title. Ottawa struck first blood with a 12-6 victory as a five-point road underdog before beating the Tiger-Cats 44-28 the following week as a 5.5-point home favorite. While it is always hard to beat a team three times in a row, the big advantage for Ottawa in this game is at the quarterback position. The RedBlacks have CFL veteran Henry Burris at the helm, while the Tiger-Cats are still scrambling to find an adequate replacement for Zach Collaros, who went down late in the season with a knee injury. The Miami Heat are off to a decent 6-4 straight up start with an even 5-5 record against the spread, but they have been lining bettor's pockets for anyone who has ridden this team on the total line. Following Tuesday night's 103-91 loss to Minnesota with a closing line of 198.5, the total has now stayed "under" in their last nine games. The fact that Miami is ranked 26th in the NBA in scoring with an average of 96 points a game has helped, but this run on the total line is more about the Heat's ability to play tight defense. The 103 points Miami did allow in the loss to the Timberwolves was just the second time this defense has given up more than 98 points in its first 10 games. 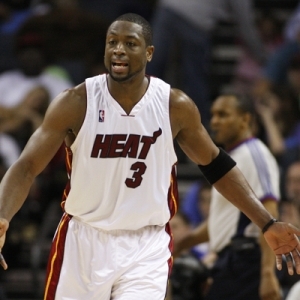 The first was a 104-94 loss to Charlotte in the Heats' season opener. Overall, this defense is ranked second only to San Antonio in points allowed in giving up an average of 91.5 points a game. Next up for Miami are a pair of home games against Sacramento on Thursday and Philadelphia on Saturday, which both offer a great chance to keep this total line streak going. This Thursday night's prime-time college football schedule features a conference battle in the Sun Belt between two teams that have a combined SU win total of just three against 16 losses. The 1-9 Louisiana-Monroe Warhawks will go on the road as 6.5-point underdogs to face the 2-7 Texas State Bobcats in a 9:30 p.m. (ET) start on ESPNU. The Warhawks come in with a 3-6-1 record ATS, and they have failed to cover in six of their last seven games. The Bobcats are also a costly 2-7 ATS this season, and they have failed to cover in six of their last seven games as well. Something has to give in this matchup, and one key clue as to which team to bet on could be in the road team's 2-0 record both SU and ATS in the previous two meetings since Texas State joined the Sun Belt Conference. UL-Monroe won 21-14 in 2013 as a six-point underdog, and the Bobcats returned the favor last season with a 22-18 victory as three-point underdogs on the road. The oddsmakers' job is to release the sharpest betting lines possible to even out the action on either side of a matchup. The sportsbooks' job is to tweak these betting lines in a way that takes full advantage of the betting public's infatuation with playing favorites. Through the first 10 weeks of the NFL regular season, this formula has worked like a charm to build the coffers of the bookies with the underdog covering against the spread in 57.5 percent of the games, according to Covers' NFL League Trends report. Things have been even better for underdogs covering on the road with a winning percentage of 57.9. Some of the early leans towards the underdogs according to Covers' consensus trends for this Sunday's games include St. Louis +1.5 points against Baltimore, Indianapolis +6 against Atlanta and San Francisco +13 point against Seattle.